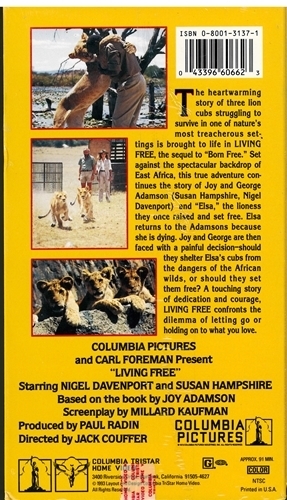 The heartwarming sequel to "Born Free"
This movie continues "Born Free." Elsa returns to George and Joy Adamson but she is dying. 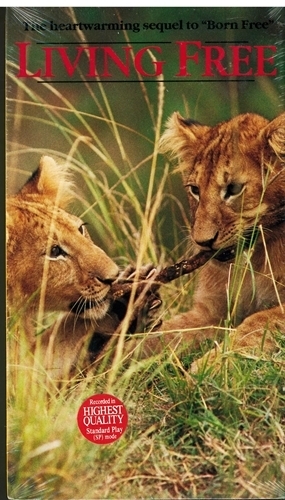 After her death, the Adamsons try to help the cubs who are wild and do not want their help. George ends up quitting his job in Kenya just so he and Joy can follow the cubs, take care of them, and try to cage them and transport them to the Serengeti. The worst part of the whole movie is that the original actors from Born Free are not starring. Virginia McKenna who plays Joy in that movie is not here. Susan Hampshire and Nigel Davenport play the Adamsons and do a decent job but they don't compare to the original actors.